Built under Hadrian's rule in the second century, Hardknott Roman Fort (initially named Mediobogdum by the Romans) is a must-do for history buffs who find themselves in the English Lake District. More than just a simple amass of old stones, the archaeological remains are 374 feet (114 meters) long and well-marked, allowing visitors to clearly identify the ancient headquarters building, the commandant’s house and the bath house. The parade ground site still lies beside the fort and is now considered to be the finest surviving example in the Western Empire. 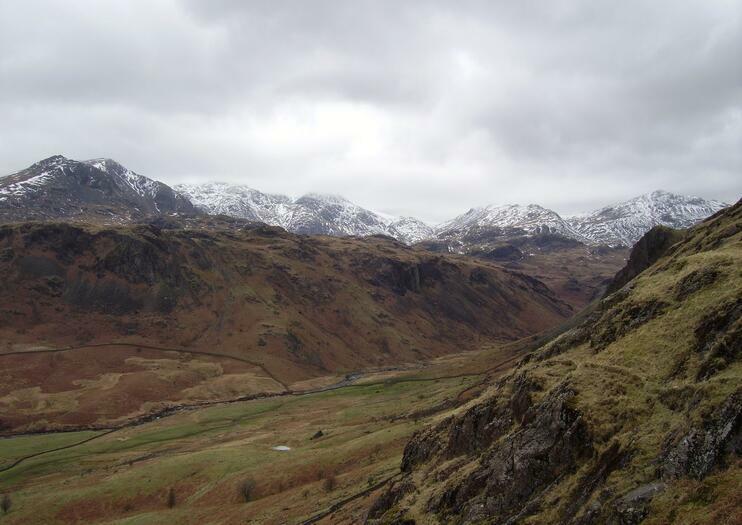 Thanks to its remote location high in the mountains of the Lake District, Hardknott Roman Fort boasts breathtaking panoramas of the national park. On clear days, the view stretches all the way to the Isle of Man and the Irish Sea. What used to be one of the loneliest outposts in the Roman Empire overlooks the River Esk in both upper and lower Eskdale. It was initially built to protect the busy and strategic Hardknott Pass, which was the main link between the coastal fort at Ravenglass and the Roman garrisons at Ambleside and Kendal. The fort is located in the heart of the Lake District National Park. It can be visited from Liverpool and Manchester by car in two hours via the M6, the A591 and the A593. Visitors should be aware that Hardknott Pass is frequently referred to as one of the most-challenging and steepest drives in the UK, with a gradient of almost 20 degrees and several hairpin bends. A private tour not to be missed, visiting some of the most rugged and beautiful sights in Roman Britain. Hardknott Fort on the famous mountain pass that controlled the route from the coast into the mountains. The onwards to Hadrian's Wall, the incredible feat of engineering built by the Romans that cut across Great Britain at its narrowest point.